Thank You Monica! wonderful class… got a good sweat on for sure! Heading out for my 1st outdoor ride larter today, should be all set for the real hills in Vermont! So much fun with everyone participating!!! Watched her interview & she’s very inspiring! Great class too!!!! MM2019 Nice spin class. Burned some calories! MM2019. Love the format of this class Monica! Thanks! MM2019: Week 2 Cardio ✔️ Really good class! Thanks Monica! MM2019, pushed through to get er done!!! MM2019 – What a great way to kick off this challenge. It’s more intense than you would think, you just have to push yourself through it! MM2019!! New to SSoD and I am loving it! This class was perfect… didn’t realize how hard I worked until it was over. Thank you!! Monica, what a fun class! I loved your music! Between the music and your fun personality it made it a great class! I will definitely do this one again and look forward to more of your workouts! I hope you are feeling better!! Great class Monica. Hope you are feeling better- good for you for listening to you body and taking that break! Always good for us to see that the instructors are human too. Great start to my morning with Monica! Enjoyed the class so much, especially after watching her trainer talk video last week. Really enjoyed the vibe of this class. Great format, instruction and playlist! Thx!! We need more Monica classes!! Love the class! And I love how she took time do to a very good stretch after the workout! Thank you! NYOC week 4, probably my last class for this challenge, lovely way to finish! Super fun and great work out. Olympic Challenge – Class 10. Thank you so much Monica! I had so much fun, and the playlist was soooooo good! Loved this class and the team spirit in it! Right! They kept me on my toes! Too many recovery periods and Monica suddenly disappears ! Hi Carlos, thank you for your feedback! All the explanation you need is in an interview I did with Cat right after filming that class! You got to see the studio commit to the show must go on lol! Fellow riders if you are in need some extra recoveries for any reasons, this is the class for you! NYOC2019 – Good workout thanks Monica! Loved it! Just what I needed on a Sunday night to pull me out of that dreading Monday morning blues! Thanks Monica! Now there is a challenge!! Thank you Sally!! NYOC2019. That was the quickest 54 min workout. Thanks Monica! Enjoyed this class because we can make the resistance as difficult as we want. Monica has the best music mixes. I absolutely loved this spin!!! I was so excited to see another class from Monica! I loved the playlist – all around a fun class! Just what I needed today. Great job Monica! Thank you for yet again another amazing workout along with a greaaaaaaaat playlist! That is only one more reason why he is so awesome! Always looking out for EVERYBODY!!! Thanks for taking my class!! If it’s a Monica class, it’s a favorite. Long, tough, week at work, thus far. 54 minutes of Monica sending out “very nice” comments, are just what I needed. I also loved the written, non verbal prompts, mid-class. Changing things up is fun! Thank you Carolyn, love the feedback! Rolling hills are my favorite…so this was a blast! Sweaty good workout. Nice playlist kept me moving. That was a fantastic class. I took this one tonthe treadmill and your instructions to keep it at a jog, just above a jog, a run, a sprint…really helped me a lot. It’s obvious you are a runner. Thank you so much Marie, yes I can appreciate your love for running, nothing more amazing than hearing your feet hitting the ground to a good beat! Great class Monica🚴💪🏻❤️ what are the brand of shoes you were wearing? Melissa you just keep making my days!! 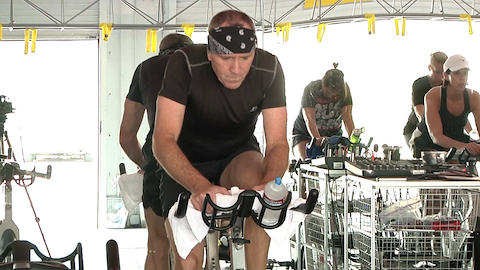 This ride is about power climbing and flat road endurance sprints. We’ll maximize gear out of the saddle, reduce gear to power climb in the saddle, and moderate our gear for leg speed, leveling at about 100 to 120 RPMs. Gonna burn so good. 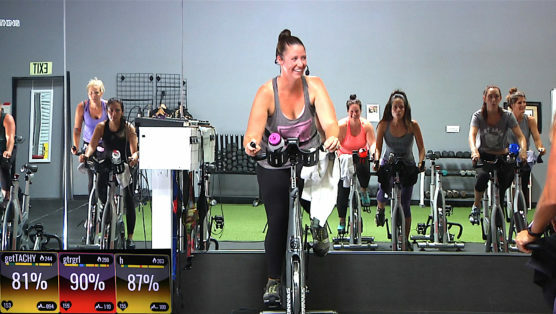 There’s nothing lady-like about this virtual Spinning class! 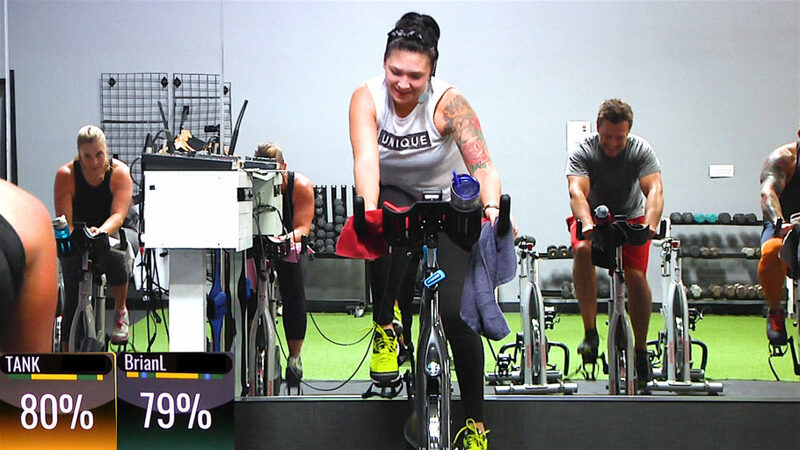 Elli, one of SSoD’s most fun trainers, pulled classic female rokk-star chart toppers from over the decades to bring you one killer Spinning playlist. Get ready to drop the beats with your faves as we jump, sprint, and climb with the greats! Lady Bangerz – let’s go! 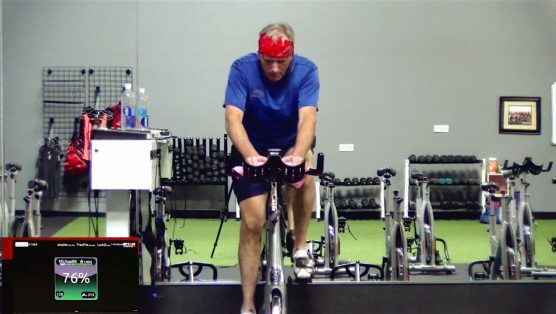 This Spin® workout is long, steady, easy, and may feel “monotonous.” Good! “Monotonous” is a critical part of being an athlete. Progressive overload during training is used to disturb homeostasis in an attempt to improve fitness performance. Short-term training sessions (one hour in length) result in acute fatigue and short-term performance decrements. When you build in recovery sessions, you create what is known as “functional overreaching.” This state leads to improved exercise performance. However, when athletes fail to respect the balance between training and recovery, the first symptoms of prolonged training distress will occur. This is referred to as “non-functional overreach,” and can lead to physiological and psychological disturbances. BUILD IN RECOVERY!! It is as critical as the overload. Download More Fatter’s “Smiling Tears” for free and check out the backstory to the song! This class is So Unbelievable and you are So Unbelievable!! Don’t worry… it will all make sense soon enough! Enjoy a full 50 minute ride with Bethany, filled with endurance hills and plenty of sprints to challenge those legs & lungs! And you’ll get to finish up with an amazing, well deserved finely tuned stretch at the end. Get this done and you are gonna be one… LEAN… MACHINE.